There’s no better place to have your storybook wedding than Mid Pines. Say ‘I do’ amongst our blossoming gardens and manicured greens, or toast to everlasting love surrounded by the timeless beauty of our historic inn. When you book with Mid Pines, you’ll experience our long tradition of excellence, dedication to detail and passion for collaborative event planning. Schedule an appointment today to visit our venues and learn how we can help you create a wedding that’s far above par. 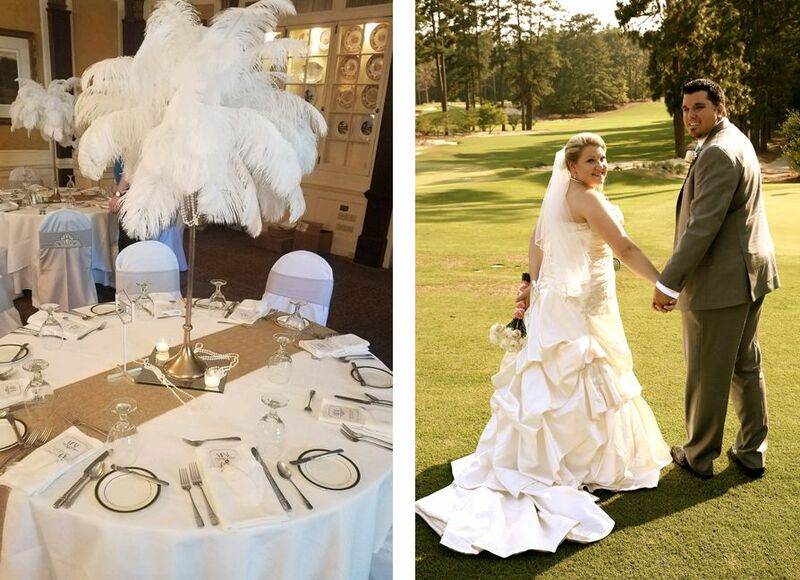 For more information on weddings at Mid Pines, please fill out the form below. Do your guests require lodging? Would you like to reserve golf for your guests? Will the ceremony take place on property? If yes, what is the estimated time of ceremony? Will the reception take place on property? If yes, would you like a cash or host bar? Couples are permitted to bring their own wedding cake. All other catering must be provided by our in-house teams at Pine Needles and Mid Pines. How long is the space rental for? Is there an overtime fee? Our staff will work with you to determine the duration of your space rental according to your event needs. Staff will also accommodate for set-up and breakdown. The rental is typically available on a daily basis with staffing provided during designated event hours. Overtime fees may apply. What is the capacity for your event spaces? Our event spaces can accommodate up to 300 persons. Our Event staff will help you choose the perfect location among our versatile function space. Do you offer a food tasting prior to the event? A complimentary food tasting for two will be provided. Please complete the contact form above for more information. Outside wine and beer are permitted. Corkage fees apply. Is there parking available on site? Is it complimentary? Is there valet parking? Parking is complimentary with multiple private lots available. Valet parking may be contracted through an outside vendor. Please complete the contact form above for more information. Our facilities are handicap accessible. Please complete the contact form above for more information. You are welcome to hire your own vendors. For a preferred vendors list, please complete the contact form above. For more options, you might also consider the facilities available at our sister property, Pine Needles Lodge and Golf Club.